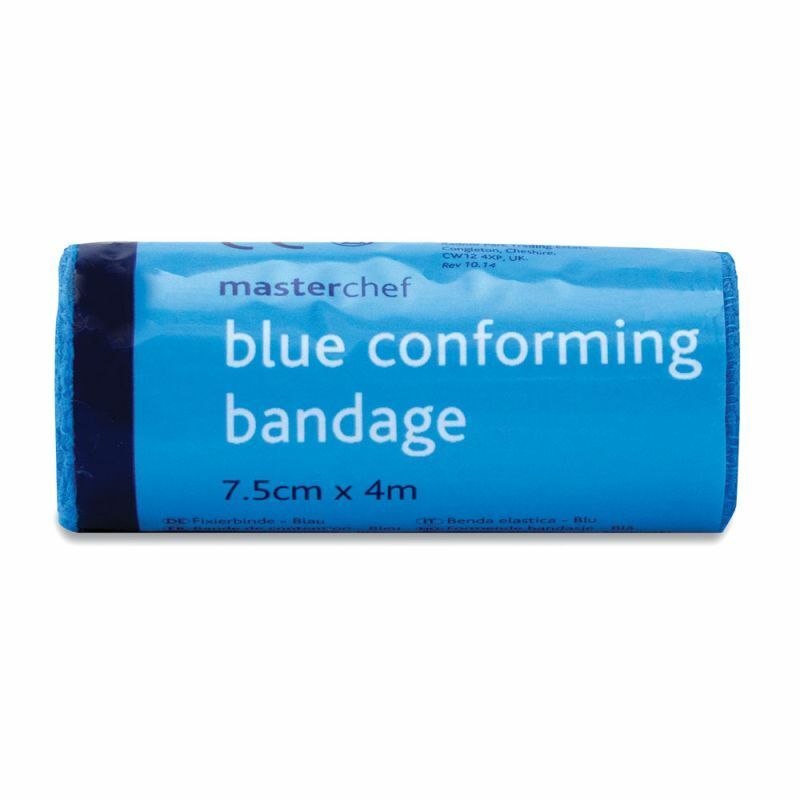 Primarily designed for securing dressings, the Masterchef Blue Conforming Catering Bandage is made from a soft and lightweight conformable material that is easily wrapped around all angles of the body. With a bright blue design, this catering bandage ensures that if your food ever becomes compromised by a used bandage, it is immediately visible. Good bandages should easily conform to the body, allowing flexibility and freedom of movement for the patient so that they can carry on performing their regular tasks. Using breathable and fray-resistant material, the Masterchef Catering Bandage exceeds all expectations. Each bandage is sized 7.5cm x 4m and made with a high level of stretch. Suitable to use in kitchens, as set out by the guidelines in the Food Safety Act (1990), this would make for an excellent replacement should you run out of bandages in your existing kit. Accidents can happen, especially in the kitchen where there is great risk of being burned or cut. This soft blue bandage is ideal for various wound care, and can easily be held in place with either safety pins or microporous tape. 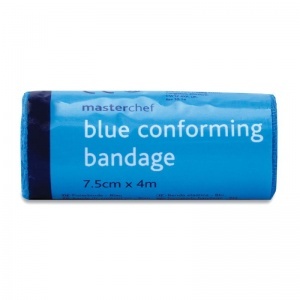 The Masterchef Blue Conforming Catering Bandage is usually dispatched via First Class Royal Mail and delivery should be within 1 to 3 working days.